On 13th November, 2012, Kenya opened its first railway station, as we get to celebrate 49 years since Independence. In a move hailed by many far and wide, Kenya also announced that it had finally broken the curse and built a two kilometre track to the newly opened Syokimau. It is said that this is the first time the railway had seen any action in more than 50 years. To some, this was the equivalent of Kenya putting a man on the moon. It would bring lots of pride to millions of Kenya, just as the hundreds of millions of Indians see their chest swell with pride when their country launches a rocket into space, or successfully does a nuclear bomb test. I even saw a few Ugandans, where the presidential motorcade is said to occasionally tag along a Howitzer (Google images), wonder where their country got left off in such remarkable feats. However, it soon became clear that this national masterpiece wasn’t for all. The average Kenyan produces KSh. 146 per day. For a 15 kilometre journey into the CBD, which was said to take 25 minutes, Rift Valley Railways(RVR) would charge KSh. 110 one way, thus Ksh. 220 for a 15 km journey in a country where the GDP is KSh. 146 per day. Optimists also termed it as a small start that would slowly pick up. A few days later, reality hit Rift Valley Railways and the fare was would be an offer at Ksh. 100 for a return journey. The train even got delayed one day when the engine wouldn’t pull the carriages. The passengers were offered a free ride the following morning. It however emerges that RVR, which was running a daily passenger service to General Motors (GM)- Mombasa Road and Athi River, cancelled the service in favour of the new express Syokimau one. A hawker who has spread her wares beneath the GM flyover does not understand why RVR cancelled the service. She says it was very popular with lots of commuters. But clearly, it wasn’t as prestigious as the Ksh. 400 million Syokimau railway station that sparkles in the eyes of vandals and scrap metal exporters. Elsewhere, it appears as if RVR has completely halted train services between Nairobi and Thika, which was among the last few active tracks left. On Sunday, the railway track around Wiyumiririe - a town on Thika SuperDuperHighway - had considerable amount of earth dug from under it, leaving the tracks hanging. The railway at this point is placed on an embankment. The Economist Intelligence Unit (EIU) looked at the possibilities of mass transport systems in Brazil (http://www.managementthinking.eiu.com/sites/default/files/downloads/Public%20transport%20in%20Brazil_0.pdf). Costs for rail systems for selected cities start at Ksh. 7 billion per kilometre for a proposed surface subway in Boston to KSh. 41 billion per kilometre for a proposed underground subway in Boston. The cheapest underground railway subway is KSh. 12 billion per kilometre in Montreal, while New York is forking Ksh. 140 billion per km for its underground subway. The 40 kilometre Thika SuperDuper Highway cost KSh. 32 billion in total, KSh. 0.8 billion per kilometre. Furthermore, EIU did a study of four Brazilian cities’ mass transport systems. Three of the cities run a subway and all had expenses exceeding revenue and their annual cost per kilometre in double digits. One city run a bus rapid transit (BRT). 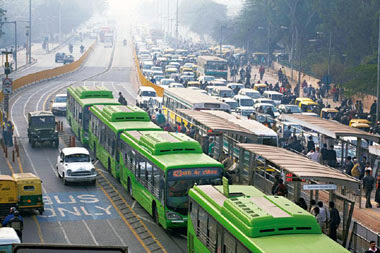 The BRT city had its transport system’s revenue exceeding expenses, while cost per kilometre was in the single digits. In Europe, public transport in a number of cities is subsidised at between 40 percent and 60 percent of cost. 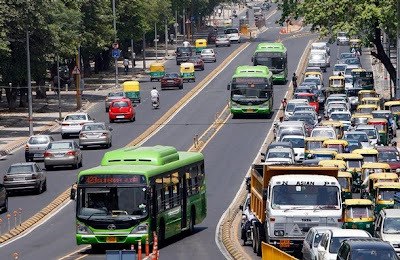 Bus Rapid Transit Systems are roads which see buses having their own exclusive lanes alongside major roads. The buses have to and fro lanes and bus stops inside these lanes, and no other vehicles are allowed into them. This allows fewer buses to be more predictable, be safer and avoid traffic jams hence being faster and efficient. EIU says BRT cost between KSh. 0.8 billion per kilometre (just like Thika Road) and KSh. 4.3 billion per kilometre. Nairobi does not need Syokimaus. We need a Bus Rapid Transit system - its affordable, faster to implement and matatus will no longer need to overlap.